Every year, up to 250 Million mobile phones are replaced worldwide by new models. A recent survey by Nokia covering 13 countries suggests that, although only 4% of users’ old mobiles are actually thrown away and wasted on landfill, still less are actually recycled. The vast unsung majority are left at home and forgotten about – 44% of old phones are just laying around people’s homes. UK consumer group Consumer Focus estimates there are 85 million unused mobiles in the UK, and 11% of their survey’s respondents admitted hoarding five handsets at once. Mobile phone recycling can help in many ways. Australian mobile phone recycling campaign ‘Old Phones, More Trees’ has in two years resulted in 175,000 trees being planted from the proceeds of recycling over 56 tonnes of mobile phones and accessories. One tonne of old mobile phones can yield 150 grams of gold. That’s 30 times more than a tonne of ore from a gold mine, preserving the planet’s precious resources. Consumers also benefit. People who sell phones to mobile recycling services will receive an average of £65. Some handsets could be worth over £200. 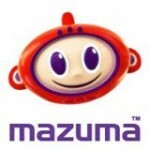 To date, Mazuma Mobile has paid out over £60million for old mobiles and it doesn’t stop there. Recycling old phones is so easy. So dig out your old mobiles and start changing the figures. You know it makes sense.